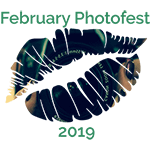 February Photofest 2019 - Day 4 - Toy for Sir - February Photofest 2019! Sunday night feels! I really don’t mind my day job. Lately, it has been slow and has given me more time to write and organize and plan. Last night, I was tired, a little down, and just not feeling the work week starting tomorrow. Maybe it is the warmer weather making me want some time on the beach and angry that I have to work. Maybe the weekend was good for once, full of laughter and family and fun, and I don’t want it to end. Maybe (and probably more to the point) I ate like crap all weekend and I’m feeling gross and guilty. I looked at all the pictures from the wonderful photos my daughter took and just couldn’t bring myself to post any of them feeling the way I do. There is one that is extremely troubling and as I looked at it, edited it, trying to hide the parts I loathe, I found myself spiraling. So I posted the photo yesterday from the past. One where I felt my best self was represented. Looking at the other pictures, I just couldn’t find the good in any of them. This, of course, is why I felt the way I did last night and why I feel the way I do today. This also led to a spiral of eating habits from a disorder I have always struggled to maintain. The dog had me up three times last night to go outside and pee and each time I headed to the refrigerator for the icing in the small container that has been there for a week. Each day I would take a small spoonful to sway my cravings for junk and sugar. Last night, each time I let the dog out to pee, I had more icing until it was gone. My food disorder has always been with me, coming and going unannounced either way. I first thought I had a problem when my extended family rallied around my cousin who was struggling with Anorexia. I was young but as the disease was explained to me it sounded familiar and I questioned my own issues for the first time. Later I would joke that I was average at everything but a failure at Bulimia. I could binge like a champ but usually failed at the purging part of the deal. My weight has been something that I have struggled with for my entire life. It was always a focus. I have good moments where I accept who I am and what I look like, and bad moments when I feel like the ugliest, largest person on the planet. When my daughter was born it was imperative that I not pass these feelings down to her. The first time she mentioned to me that she was uncomfortable with her weight, I told her the words I told myself so many times. ‘There will always be someone bigger, and there will always be someone smaller, just be you!’ She managed to listen and make it happen. I am still struggling with it. So while all those pictures, sit in my media library I felt it would be safer if I posted something that more revealed how I was feeling on the inside as opposed to how I felt about how I look on the outside. When I look at this picture, I see my pain, guilt, and exhaustion. I see a very tired me, wishing I could sleep and clear my mind, and throw up the icing and start over. Maybe even someone contemplating a lock on the refrigerator, or a diaper for the dog so the temptation will have no resource. Click the kiss to view other wonderful photos!